Discerning and promoting priestly and religious vocations is something in which all the faithful should be involved, said Archbishop Charles C. Thompson in a recent interview with The Criterion. He also had encouragement for people considering God’s call, advice for their friends and loved ones and thoughts on the how contemporary culture presents challenges and opportunities to the Church in regard to vocations. 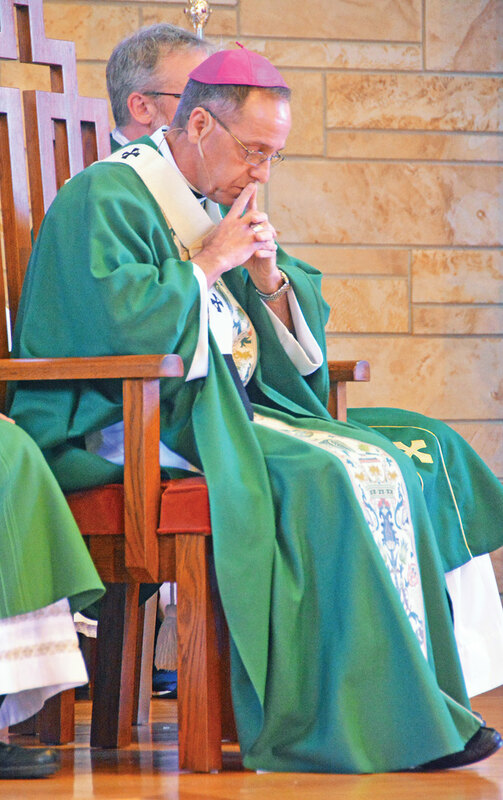 He spoke of the “essential need for prayer” in discerning a vocation. Archbishop Thompson also noted the close relationship between a vocation, baptism and the Eucharist. He recalled how sharing supper with his family daily helped him ultimately appreciate the Eucharist more. “There was storytelling, dialogue and sharing of the meal—very much eucharistic, like the Mass,” Archbishop Thompson said. “Today, how many families ever sit down for a meal together? Included among them are social media platforms like Facebook, Twitter and Instagram. On the one hand, Archbishop Thompson is concerned about how digital devices and various forms of social media contribute to this fragmentation. “We can be in a group and everybody’s on their phone and really not with each other in the same room,” he said. At the same time, he is active in social media in order to encourage faith and discernment in young people. In addition to prayer and the sacraments, Archbishop Thompson suggested being open to the many ways God speaks to people about their vocation. “Pay attention to what other people are saying to you,” he said. “So often, people will recognize qualities and gifts in us that we don’t see in ourselves. A lot of time, listening to those people will give us some direction in how God’s calling us. Archbishop Thompson also encouraged parents of people discerning God’s call to be present to their children, but also to give them the space they need to consider their vocation fully. “Pope Francis talks about the need for accompaniment, where we meet people where they’re at,” he said. “This is a wonderful place where parents can practice that. Walk with your son or daughter who’s discerning a vocation. In the end, all of the faithful need to do their part in promoting vocations, Archbishop Thompson said.